Istanbul is a unique city. It is the cultural capital of Turkey and was formerly known as Byzantium and Constantinople – names that evoke a whirlwind of exotic and glamourous impressions that still exist today if you know where to look. 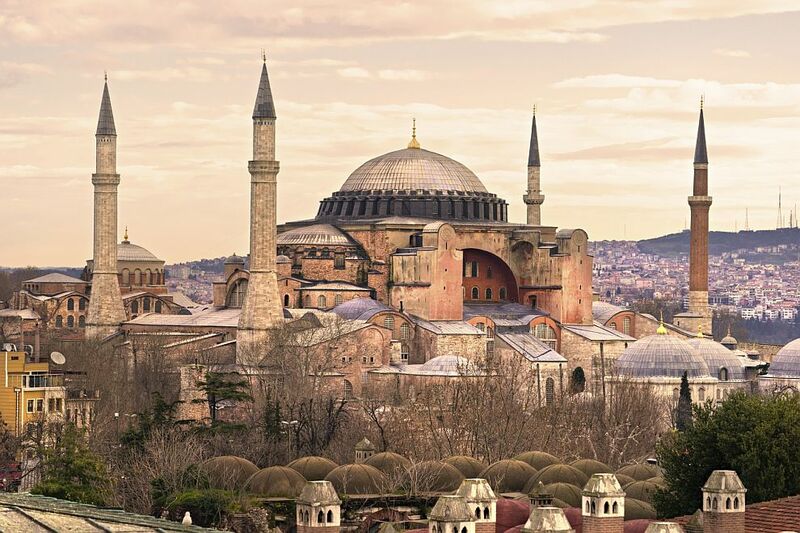 East meets West in every aspect of life in this vibrant cosmopolitan city because it literally bridges two continents; Europe and Asia, and the Bosphorus links the Black Sea with the Sea of Marmara and the Mediterranean. 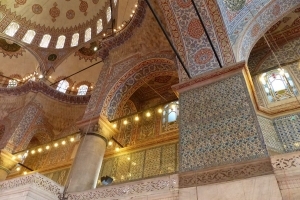 It is no surprise then that Istanbul was destined to have a rich history, splendid architectural treasures and to be a melting pot of different people – here you’ll find descendants of the Ottomans, Hittites, Persians, Macedonians, Romans, Arabs, Cemmerians, Celts and Goths who conquered Turkey. Life in Istanbul today is an intoxicating mix of the traditional and modern. This all makes the city one of the most interesting places on earth and one of the most paintable cities in the world. 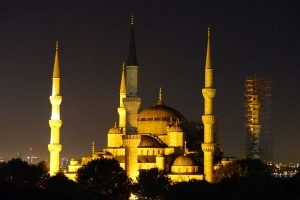 Istanbul is divided in to four distinct districts by the Bosphorus and the Golden Horn. Old Istanbul lies in the south west on a series of hills overlooking the Bosphorus, the Sea of Marmara and the Golden Horn. 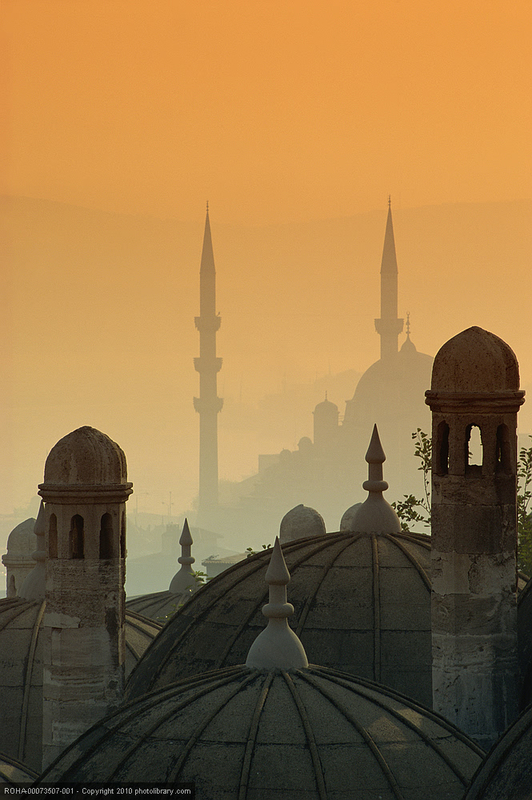 The very heart of Old Istanbul is the area known as the Sultanahmet. 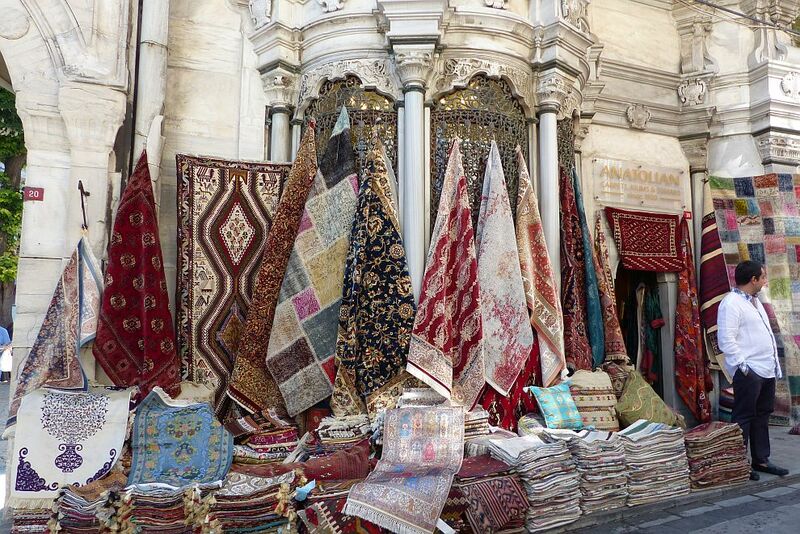 This is a tightly packed area (3km by 1.5.km) where you’ll find everything that makes Istanbul magical. 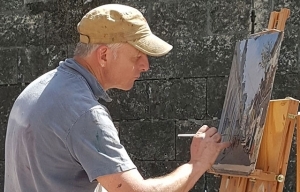 It is very safe to walk around and easy to set up your easels and start painting. The Sultanahmet is packed with so many wonderful things to see and experience you could easily spend several weeks here and only have scratched the surface. There are mosaics and museums, hamans (Turkish Baths) and waterpipe cafes, spice markets, the Grand Bazaar, carpet shops and kebab houses. There are winding alleyways and lanes sloping down to the Bosphorus, where ships gather waiting their turn to enter the Golden Horn on their way to the Black Sea. 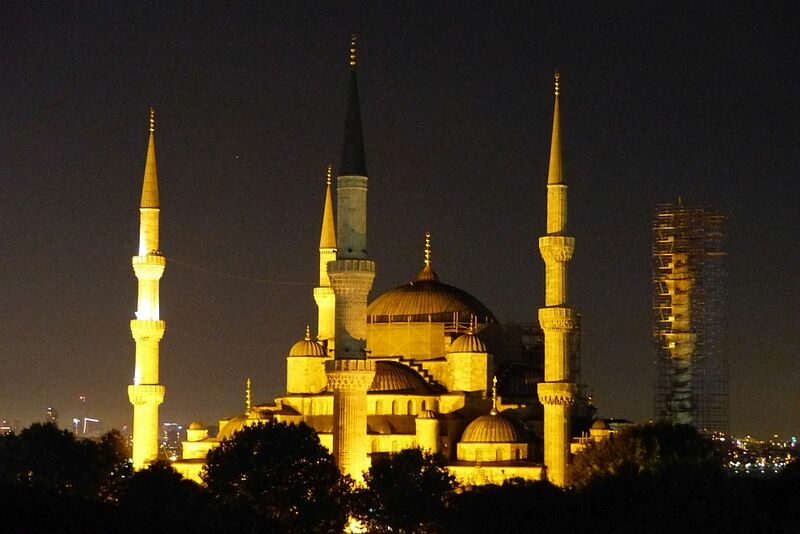 But there is nothing to equal the sight of a grand mosque atop a hill, and then another and another. The Blue Mosque, Aya Sofya, the Mosque of Süleyman the Magnificent and the Topkapi Palace are the better known architectural jewels, but every street has something inspiring to paint. There is colour all around you and the early dawn mists and the glorious golden sunsets with the backdrop of domes and minarets are sights you’ll never tire of painting. If that is not enough, then in spring you can observe the raptor migration (bird of prey) over the Bosphorus and entire Eastern European white stork population on the move. The skies will be alive with birds in flight. Istanbul is a city that successfully embraces many worlds and welcomes everyone. You’ll find the local people friendly and warm hearted.